Georgi Dimitrov burst onto the international scene in 1933 as one of the Comintern operatives in Germany accused of the Reichstag fire. The Bulgarian Communist's spirited self-defence in the resulting Leipzig Trial made him a celebrity among Communists worldwide - particularly in the Soviet Union, where he became Secretary General of the Comintern after his acquittal. Popular opinion holds that this 'whirlwind', who defied Goering and the Nazis in full view of the world, subsequently became little more than a rubber stamp for Stalin. 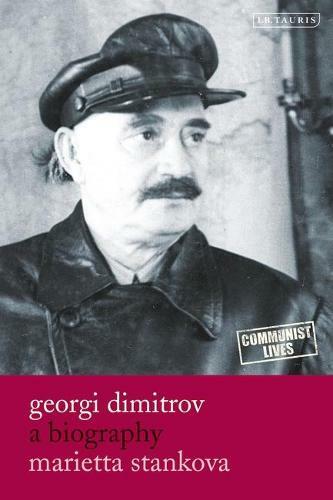 This lucid and fascinating biography - the first in English - reveals a more multifaceted treatment of Dimitrov, highlighting especially the deep complexity of his relationships with his two greatest political allies: Stalin and Tito. Using new and unpublished sources, Marietta Stankova brilliantly reconstructs the dilemmas that Dimitrov faced throughout his long and varied political career. This definitive and long-overdue biography makes a major contribution to the history of Bulgaria and of the Balkans as a whole, as well as to the field of Communist Studies.